Home > News > Congratulations, Michael Donoghue! 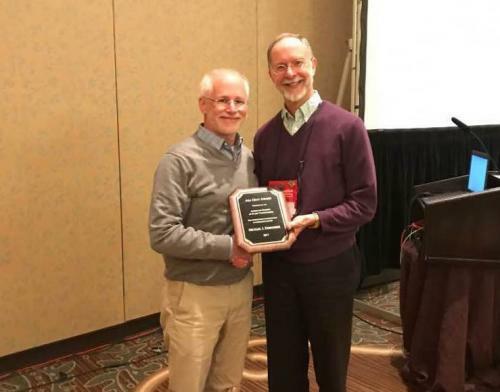 Michael was awarded the Asa Gray Award by the American Society of Plant Taxonomists. The award was presented at the Society’s annual meeting at the Botany 2107 conference in Fort Worth, Texas. The Asa Gray Award — named after one of North America’s most influential botanists — recognizes lifetime achievement in plant systematics.